Lacquer Lockdown: Hot Off The Stamping Press: MoYou London Aquarius Zodiac Collection Nail Art Stamping Plate! 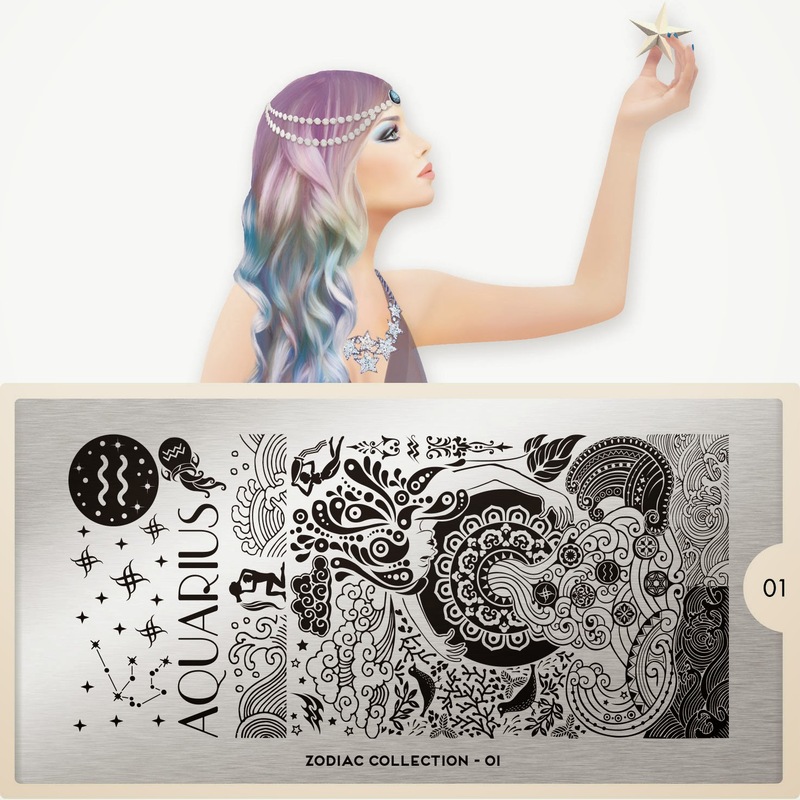 Hot Off The Stamping Press: MoYou London Aquarius Zodiac Collection Nail Art Stamping Plate! Wednesday's are for MoYou London or at least that's how it is around these parts ;) This post is for all the adventurous, friendly, loyal, and unpredictable Aquarius girls! Lol their descriptions get longer every release so I've started truncating them. In any cause woot woot Aquarius ladies your birthday plate has arrived! So let's take a look! Gorgeous plate! My moms sign. I agree with you when you say this is one of the coolest ones. I was so excited when I saw it on the mail. There isn't a single part of this plate that isn't pretty. I love it. Awww you should get it for her! Even if she doesn't stamp it's still pretty to look at <3! Yeah I'd really like to get this one even though I'm not an aquarius! I think it's pretty than the Leo plate that they released for my sign. I've been waiting for this as it is my sign! Yay! Heck yes!!! I've been waiting to place an order with MoYou London just because of this plate hahah! I'm super happy for you. I really like this plate a lot lol even more than my own sign!